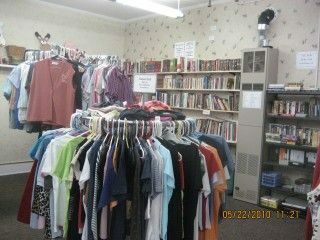 A local retail store operated by volunteers & students of the Mercer School. NEWLY REFURNISHED! Come on in and check us out! The store provides a Goodwill air, but with cheaper prices. We carry everything! 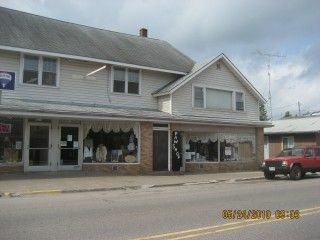 Clothes, books, movies, toys, housewares, sporting equipment, bedding and curtains, and many other useful items. We also love getting donations, so bring in your old knicknacks and clothes and we’ll be able to sell it! The PAW SHOP OF THE MERCER SCHOOL is affiliated with the school; students volunteer to fulfill community service requirements and adult volunteers operate the store as well. THE PAW SHOP OF THE MERCER SCHOOL began on a grant and have lived off our own profits ever since the grant money was spent. Benefits like the STEP program are available for volunteers. Shop the PAW SHOP OF THE MERCER SCHOOL and know your dollars will help the area community. Bring in Your Donations; They are tax deductable! 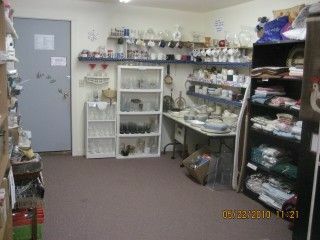 Specialities – The profits from the sales of donated items are donated back to the area community! During the Fall (September through December 2009), the students and volunteers of the PAW SHOP OF THE MERCER SCHOOL were proud to donate over $1,500 to the Mercer Food Pantry, 90+ food baskets were donated to the Mercer Food Pantry over Thanksgiving & Christmas, they donated to the Mercer Senior Citizens Center, and also the DOVE (Domestic Violence Escape Shelter) which serves Iron County, WI and Gogebic County, Michigan, and also to the Cancer Society. Hours: Tuesday – Friday 10- 4, and Saturday 10- 2. 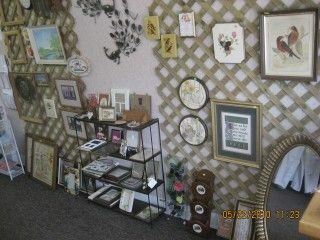 Located on Hwy 51, across from the Wampum Shop and next to RE/MAX Action North.